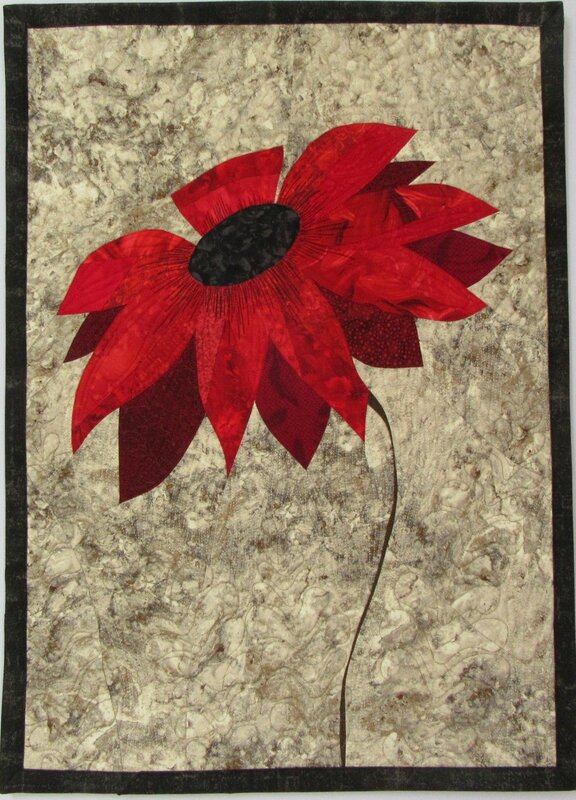 I had a customer recently who wanted a red flower, similar to one I had made in Yellow. I decided to use her custom request as a chance to try some different designs to give her some options and give myself some room to experiment. Often when I make a design for the first time, as I had with the yellow flower, I’m figuring out piecing options as I proceed. When it is finished, sometimes a different approach becomes evident but often I’m moving on to another quilt so I tuck the ideas away for another time. When this customer asked for a custom red flower, I figured it was time to experiment! 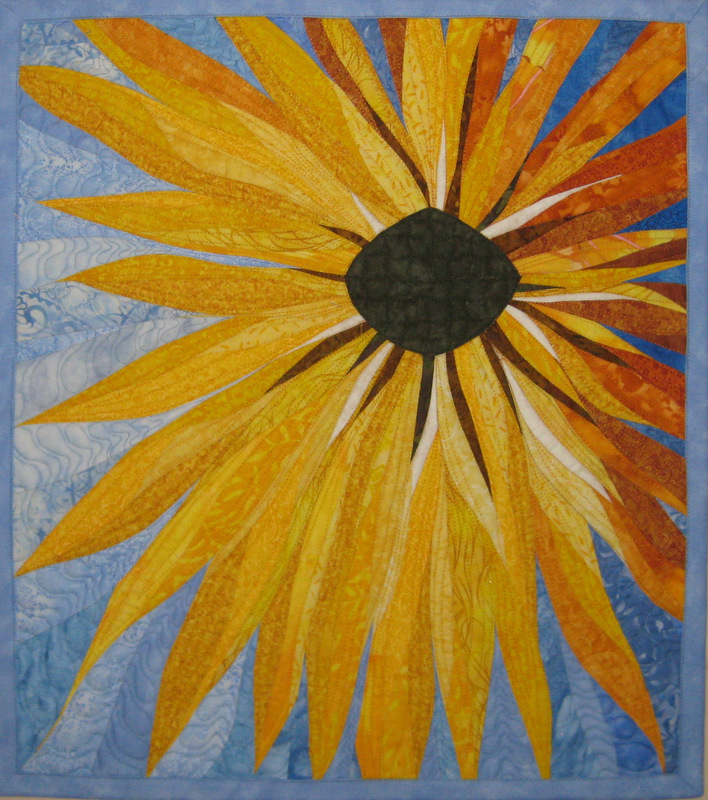 I am committed to piecing and have really tried to not use applique in my landscaped quilts. 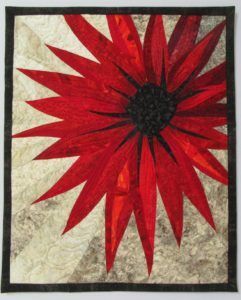 With my flower designs, I have accepted that sometimes the center of a flower is most beautifully included as an appliqued small piece. 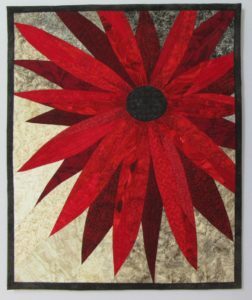 The first red flower I made used the same piecing as the original yellow flower. 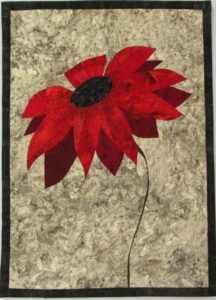 The second red flower I made was a totally different design with a flower draping. 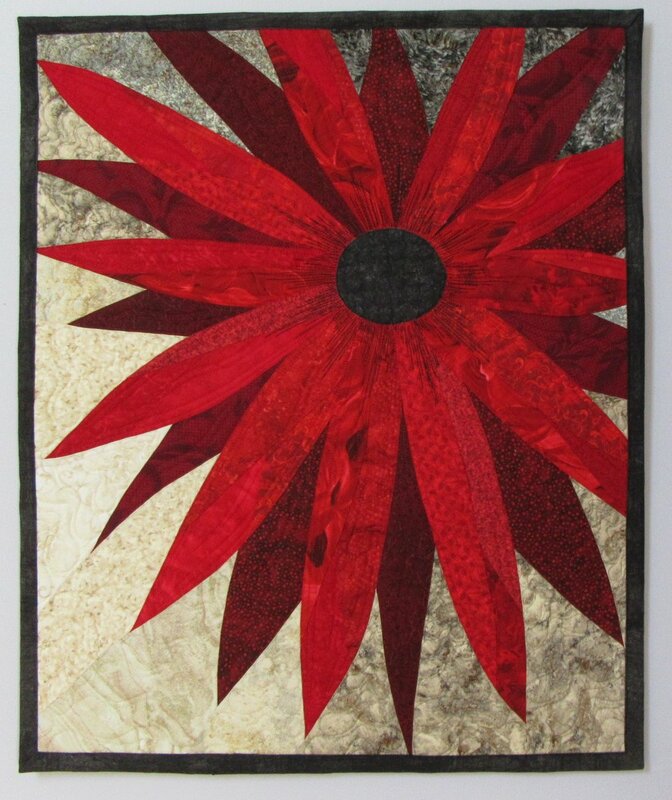 The third design was a red flower similar to the first but with a more crisp center appliqued onto the quilt. My customer liked the crisper more defined center. 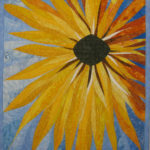 Within 6 months the other two designs have sold….time to make some more flowers! It is lots of fun to experiment with different designs, different piecing, and different colors.